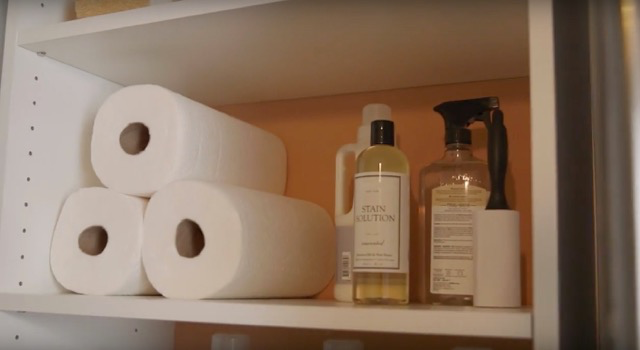 We teamed up with Laurie March from DIYNetwork.com to bring you these organizing tips, plus a laundry room makeover by Laurie! Who wants to battle stains when the sun is shining and flowers are blooming? Nobody! And how aggravating is it to search for your preferred laundry supplies?Using these Spring Cleaning and organizing tips for the laundry room, a tedious chore can become far more pleasant while saving time so you can get outside and enjoy the beautiful weather. The key to convenience is creative systemizing. 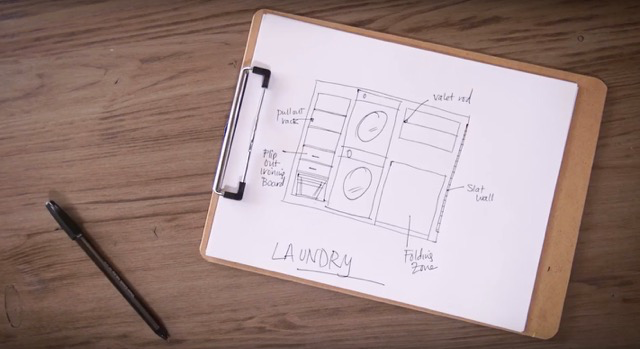 Most of us don’t have large laundry rooms so every inch counts. 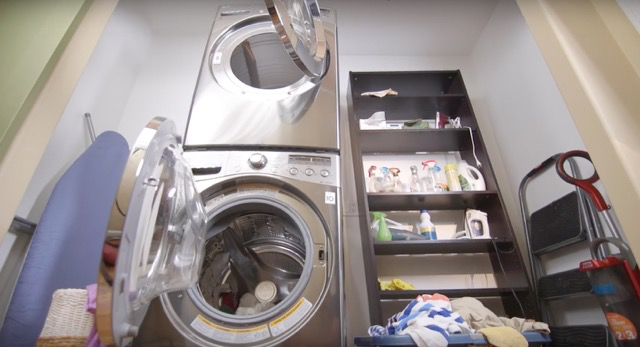 First, you need to know how much room you have to work with and how you can break down the laundry room into an easily workable setup for your household’s needs. 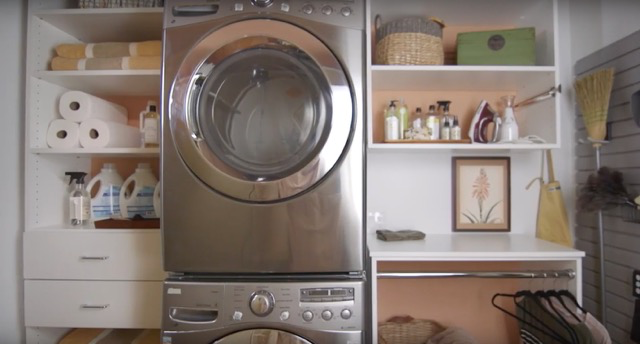 Once you’ve measured out your space, you’re ready for some laundry stations! A suitable shelving and drawer unit will make all the difference! We’ve all tossed off our clothes onto the floor and forgot about them only to try hunting them down high and low on laundry day. 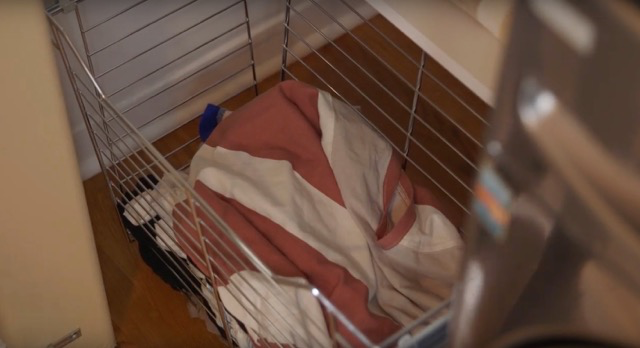 Having an under the counter hamper in the laundry room will save space and help to keep those socks paired up! Attach an under counter slide to the wall and make getting the laundry out that much easier. Are you tired of tipping your washing machine? If so, the first step in doing laundry is emptying the pockets of loose change or keys and such. 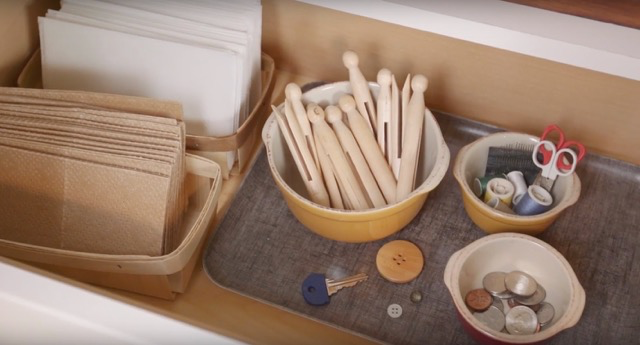 Have a drawer with a change bowl and while you’re at it, look over your clothing for any loose threads or small repairs that may be needed. A small sewing kit and some extra buttons can come in handy for small repairs and your clothes will last longer the better you keep them up. It’s inevitable that clothes get stains. There are dozens of products to choose from to remove all of them. Whichever combination you choose, you can tackle them right here. Scrub ‘em out or soak the stains here and keep some paper towels nearby for an easy cleanup. Not everyone likes the same scent for their clothes and linens. 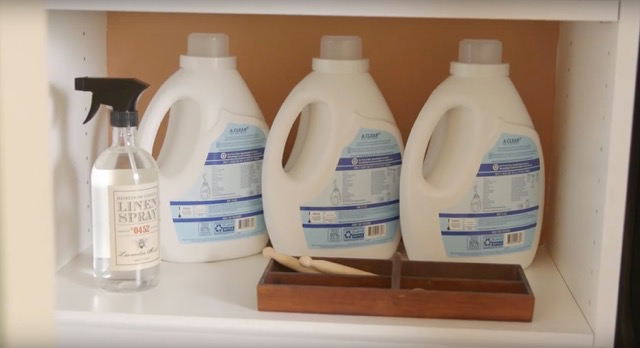 If you have more than one person in your household, keeping a separate shelf for everyone’s favorite detergents, fabric softeners and dryer sheets will make everyone happy while making sure your laundry room stays orderly. Let’s take the ironing board back to the days before we crammed it behind doors or in the back of closets and get it into a better spot. 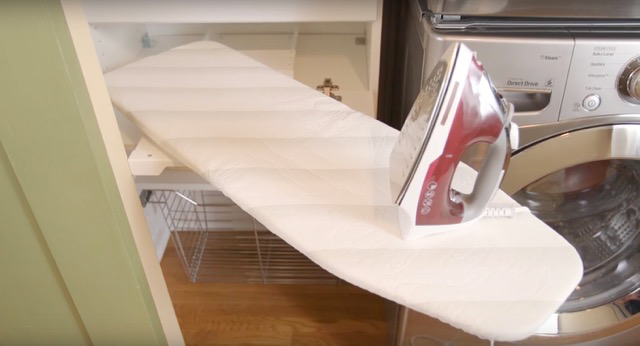 Mounting the ironing board on the laundry room wall is an advantageous place for it, but what if it could live within your storage unit – and fold back into a drawer when you’re done with it? Talk about tucked away! While many shirts and blouses today are machine washable, they still need to be hung up right after drying or dry while hanging. Also, being able to iron and then hang your clothes up quickly will prevent wrinkling. Rather than hanging them on the back of the door and forgetting them, try installing a hanging rod in the laundry room. Remember to leave enough space between the rod and the bottom of the shelving unit so the clothes don’t drag on the bottom shelf. Keep a few extra hangers around and you’re ready for business! The laundry room isn’t just for laundry! 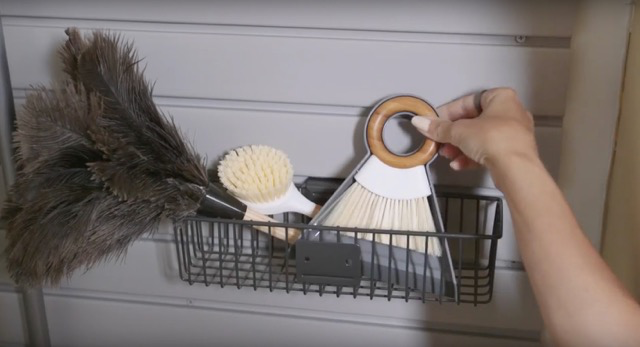 By adding a slat wall to the corner of the laundry room, you keep all those extra cleaning tools such as feather dusters, hand brooms and brushes in one accessible spot. There are several different sizes of metal baskets to choose from, too so you can be creative! You can also hang larger brooms and even a hand vacuum here with single or double-pronged hooks. Before this laundry room wasn’t saving anybody time or space. Now, with a few organizing tips, a household chore becomes so simple and efficient – everyone can get outside and play in the dirt!